Well, this book has completely inspired me. 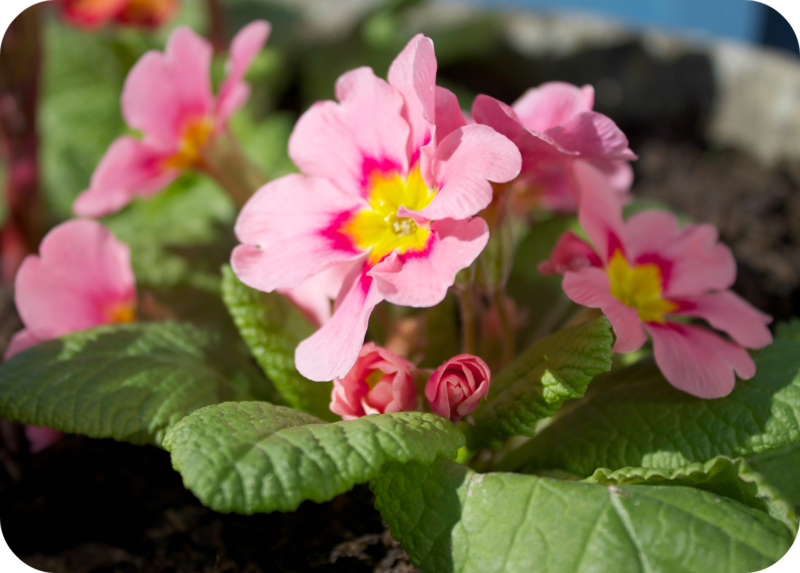 Did you know that approximately 80 per cent of the flowers available to buy in the UK are imported and may have travelled up to 25,000 kilometres by the time they reach our homes? I might be being naive but that strikes me as crazy given that we live in such a green and pleasant land. 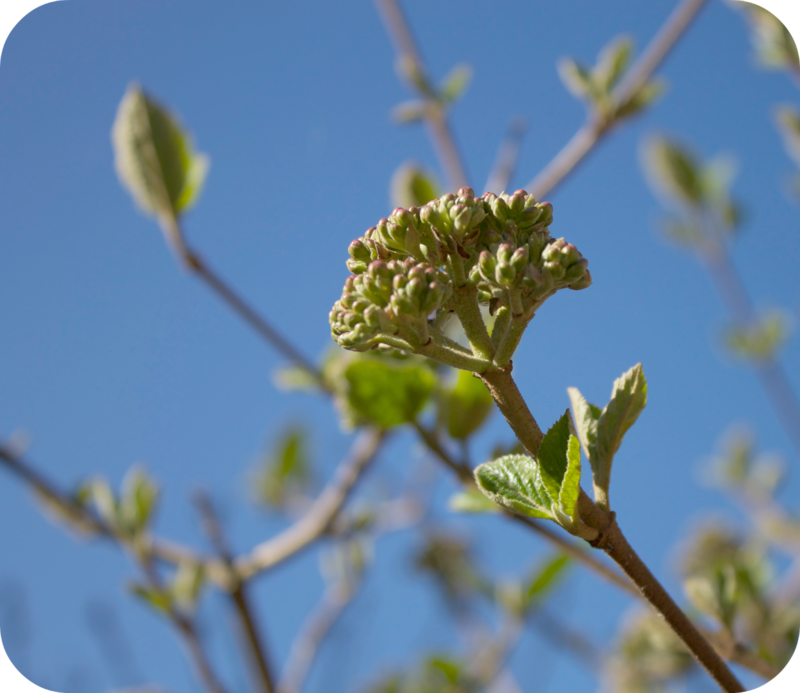 Of course, I have been trimming my lilac and using the branches for my Easter Tree, for a few years now. Last year's. The year before. This year's are now in situ, all ready for decorating. 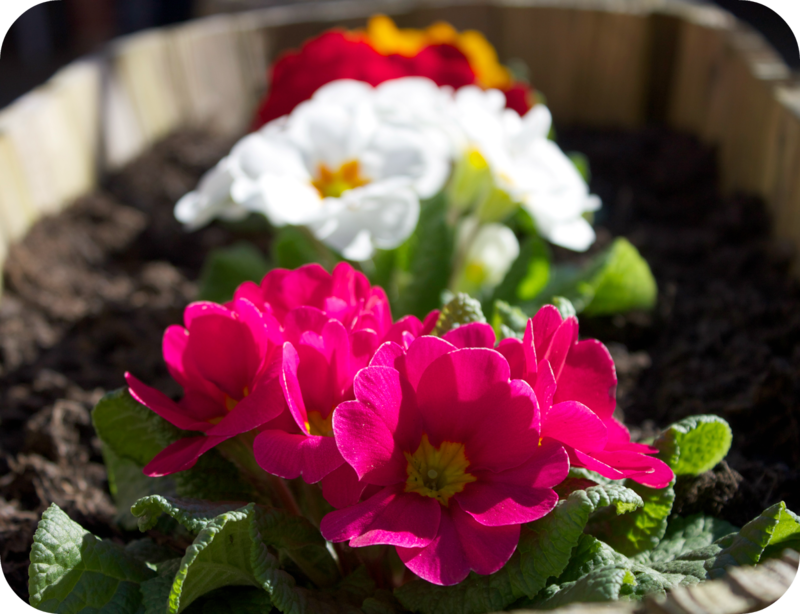 Meanwhile in the garden, I couldn't resist a bit of instant colour so I bought an armful of inexpensive polyanthus plants. Well I love your photos. Good luck with all your green fingered pursuits. My dear father in law used to fill plastic lemonade bottles with water and partly submerge them lengthways in the soil near where the cats were pooping. He also used the hosepipe if he saw them !!!!!! Lovely post Heather, and how lovely to be all outside based ! I also spy a pair of flip-flops - how fab is that in March ! 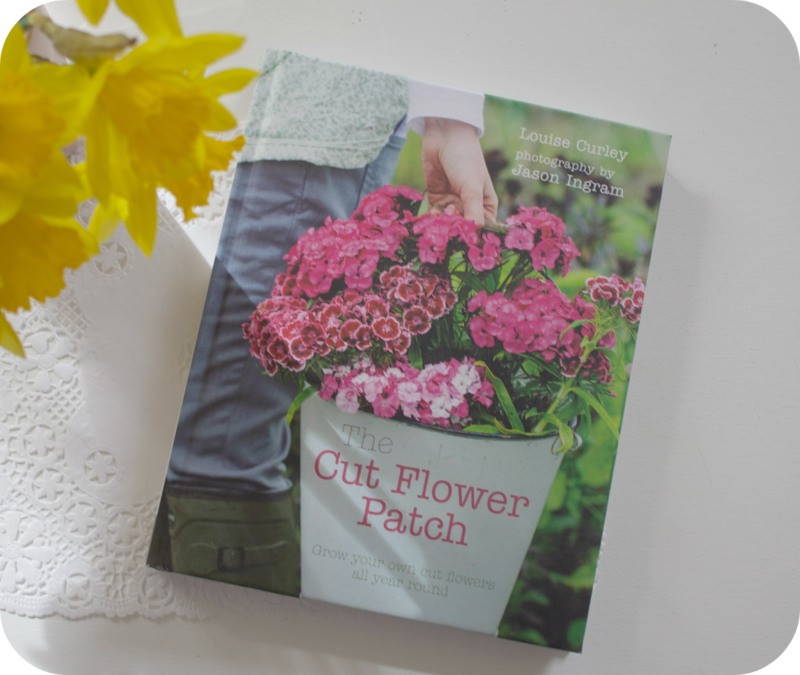 Looks a lovely book and how great that it's inspired you to have a go at growing some flowers for cutting, congratulations on the win! 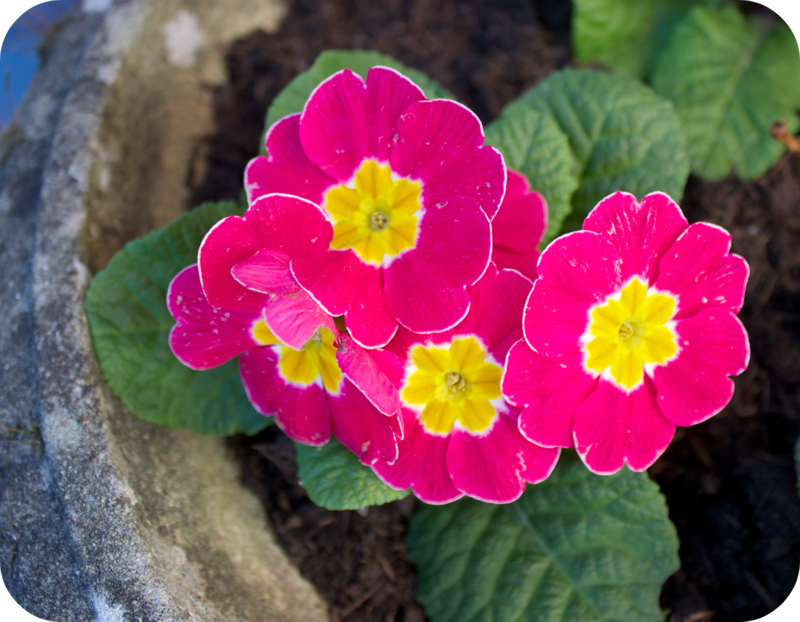 Those primulas are such lovely colours, they are so bright and cheerful. Have a good week Heather! 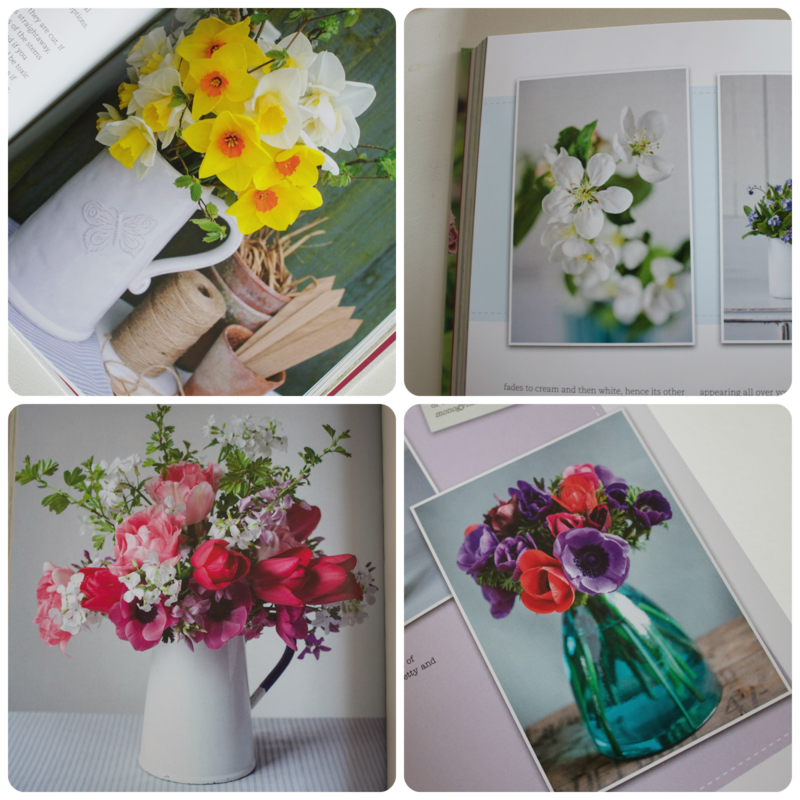 Gorgeous pics I've got polyanthus to finaish planting and sweetpeas to sew, the book looks wonderful, Anemones are my favourites. How wonderful to be out in the garden, planting lovely things to bring you much colour and happiness for many weeks to come. Happy Springtime Heather! That is a lovely pic of your beautiful Bertie - he looks very relaxed and happy! What an exciting post Heather, I can't wait to see how your garden progresses, I adore nipping outside and gathering a little posy of garden flowers ..... it's a little bit of heaven. Ground pepper or cayenne sprinkled on the soil s supposed to stop poopers, I had the same problem in my old house ..... very annoying. Good luck with your garden. I'm going to try and make a bit more effort with mine too this year. My fingers aren't particularly green either but I love it once I'm out there. And that book reminds me that I must plant some sweet williams, I love those and haven't seen any for ages! Ahhhh such a happy inducing post. I love to see blue skies and outdoor posies of flowers. Just what I need today too, as the weather is grey and chilly. I'd love to be better gardener. I just kill everything. It's such a shame......and always such a big waste of money too! I need to try harder this year! Good luck with your cut flower patch Heather, it will be so satisfying to wander out into the garden and pick some flowers to take indoors. 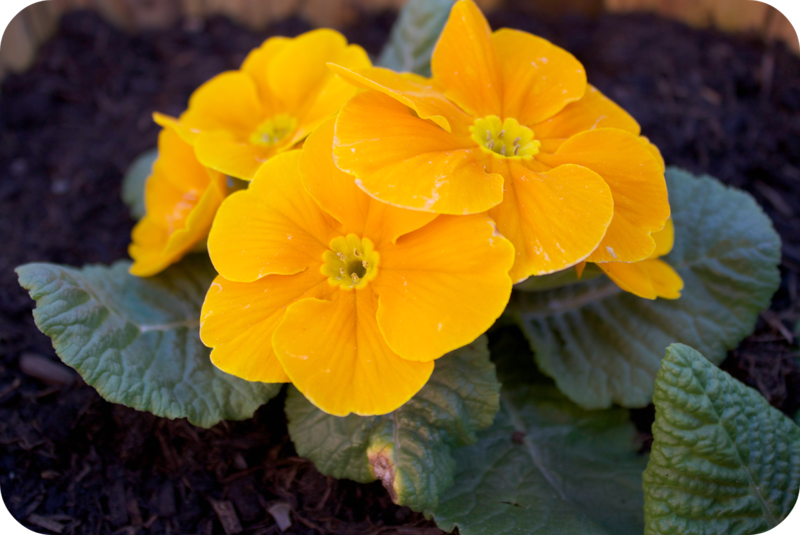 Your little polyanthus look bright and cheery. Water pistols are quite effective but you have to (a) be around and (b) be quick on the draw! Have a lovely weekend. Like you I'm no green fingered thing. I know what I love in a garden, but lack the oommpphh, know how and pennies to make my dream garden. I really admire people when they jump in and then learn how to so I'll love seeing what you get on with. This time of year the lady down the road starts her honesty stall so I get to cheat with the fresh local flowers. Like you I thought they were mainly grown here, what's going on? I do have a plan to make the patio looked better, but got to deal with pooing and destructive hens first who will just trash anything colourful and tempting. 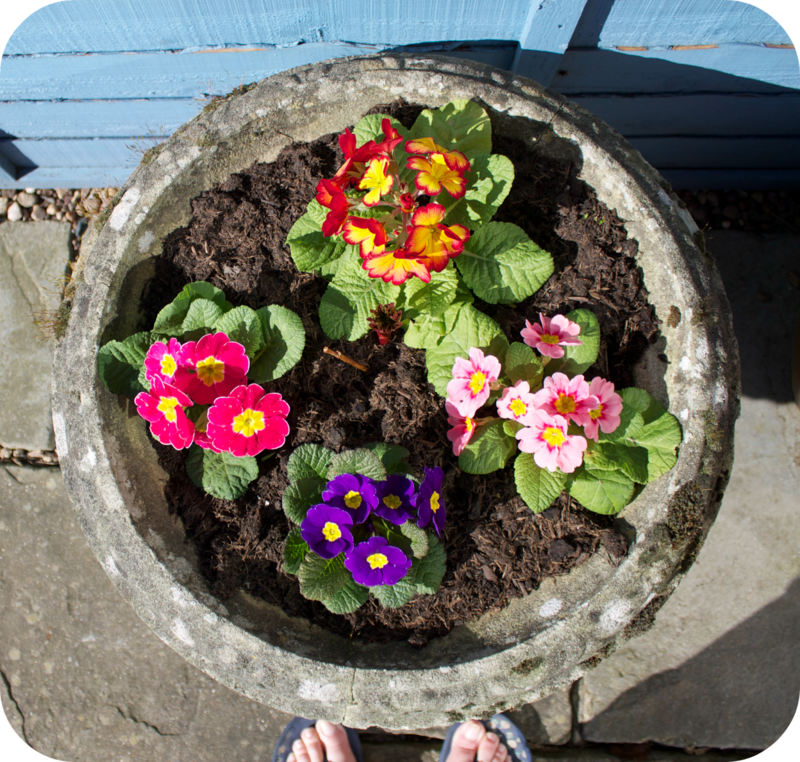 Such a pretty post Heather, colouful flowers and do I spy flipflops? In March? It's a gorgeous book! Lucky you !! Do you remember the cut flower challenge of a couple of years ago? 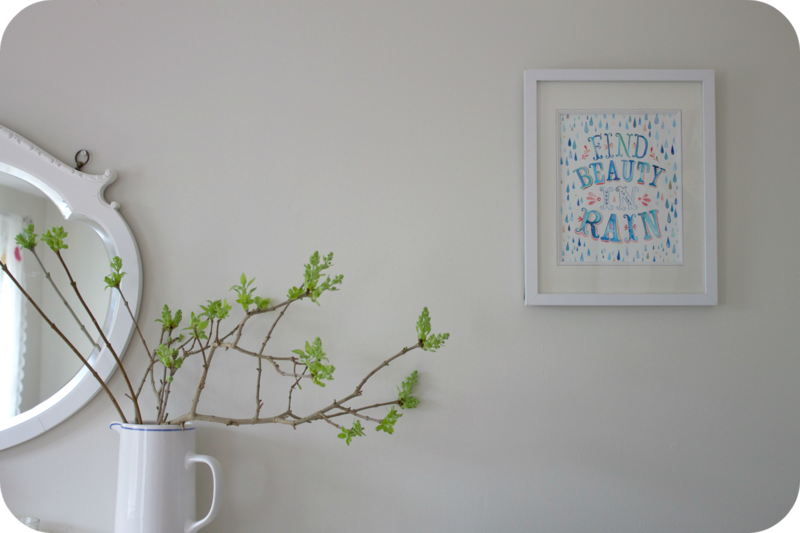 The idea was to fill a vase every week with flowers and foliage you'd either grown yourself or foraged for. I managed it just ... I treated myself to one bunch of roses in the whole year. Maybe you should give it a go? I am still waiting for sunny Springtime to really arrive in my corner of the world ~ Midwest, United States. So I really LOVE all your beautiful pictures. And I must tell you your Bertie is almost identical to my Sophie. I'd say he's younger though. She will be 14 this July. I have 2 weenie dogs. 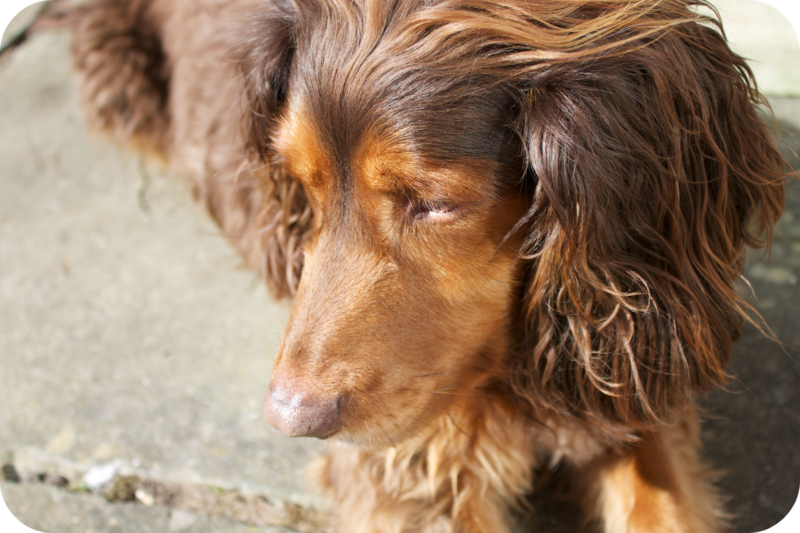 The other is a short haired chocolate double dappled named Phoebe who is only 5. Aren't they wonderful? !